Osso Bucco originated in Milan, probably as a farmhouse favorite (though some sources theorise it was invented at one of Milan's restaurants in the late 19th century). The whole point of the dish was to use the long cooking time to use an inexpensive cut of meat to make something delectable. But have you priced veal shank lately? The standard grocery stores usually don't have it, so the price goes up for it being hard to find. I called a butcher's shop in Fort Worth, and found out even they don't carry it. The only place I could find it wanted $14.99 a pound. 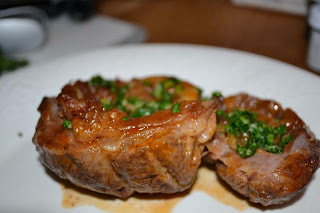 Beef shank is going for a fraction of the cost, and I feel it is within the traditional spirit of the dish to use this slightly tougher cut to make what was meant to be a family dish rather than an over-the-top preparation. 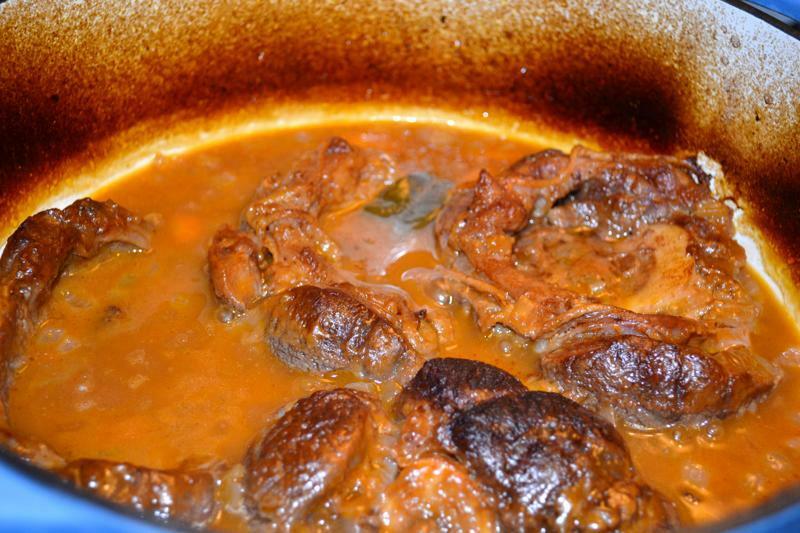 This is the more modern version (marked by the addition of tomatoe paste -- if it is tomato-free, this dish is sometimes referred to as "blanc" osso bucco. ) 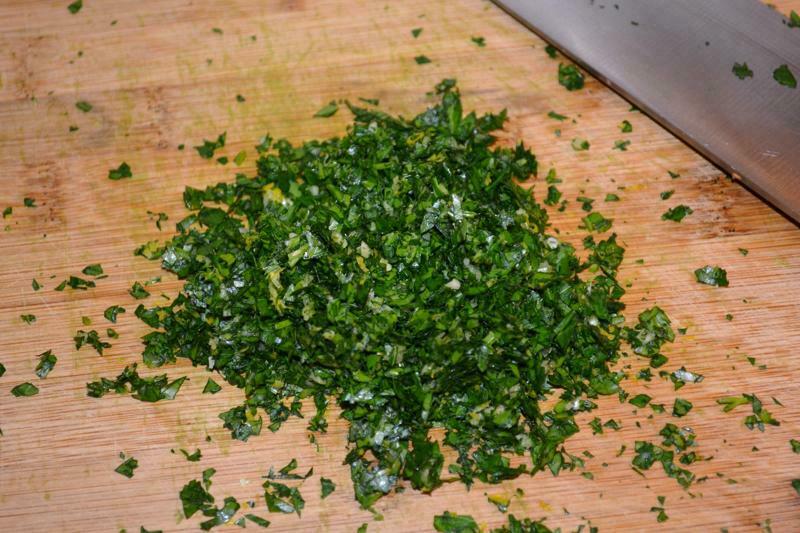 I've included a recipe for gremolata,which can be spooned over the meat to give it a more finished feel, and a healthy splash of green. Season the flour with the salt and pepper. 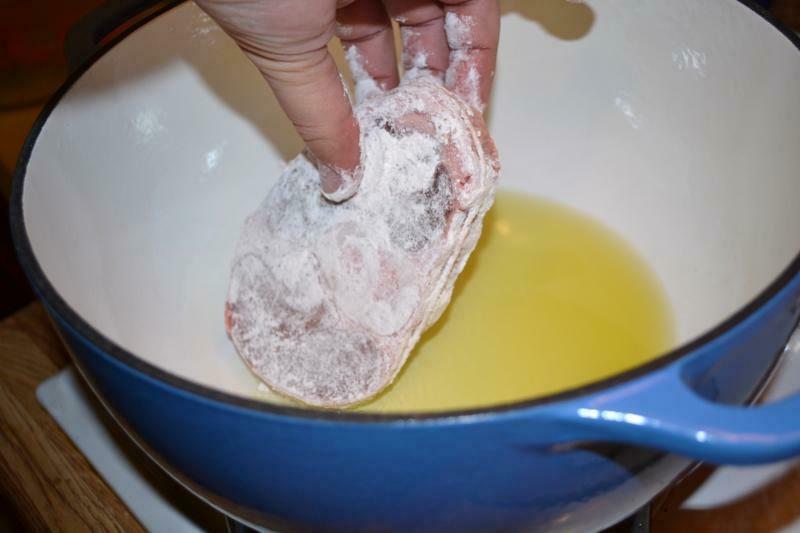 Rinse the veal and pat it dry. 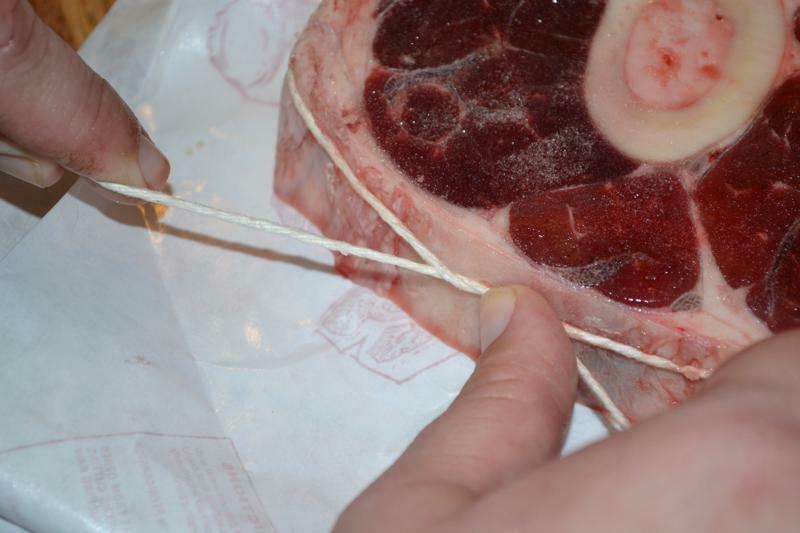 Tie each veal shank to the bone with kitchen twine. 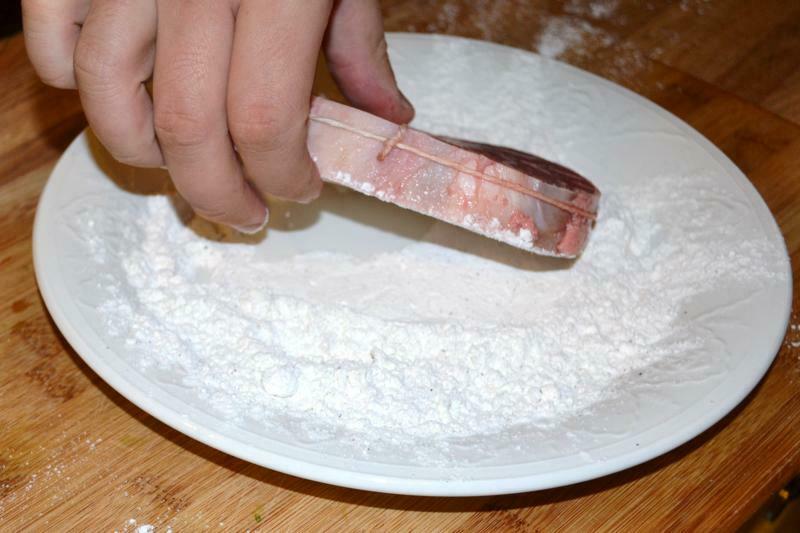 Dredge each shank in the seasoned flour. 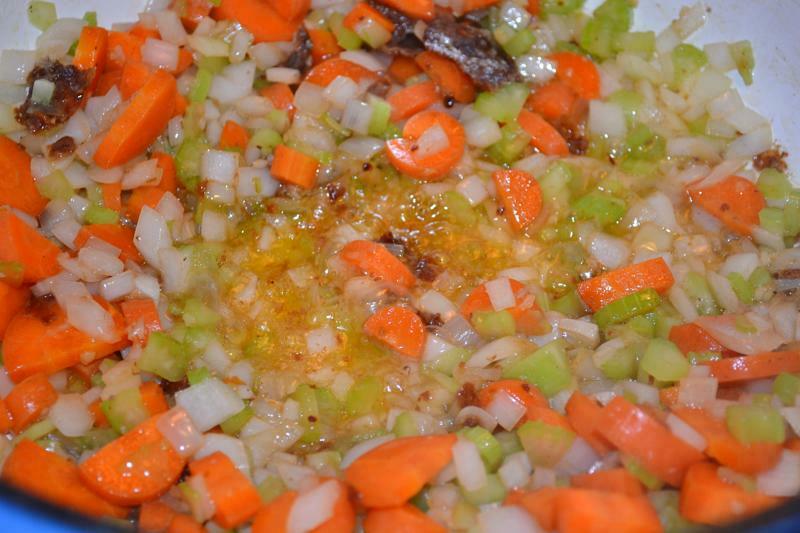 Heat the olive oil over medium heat in the bottom of a stovetop-safe Dutch oven. 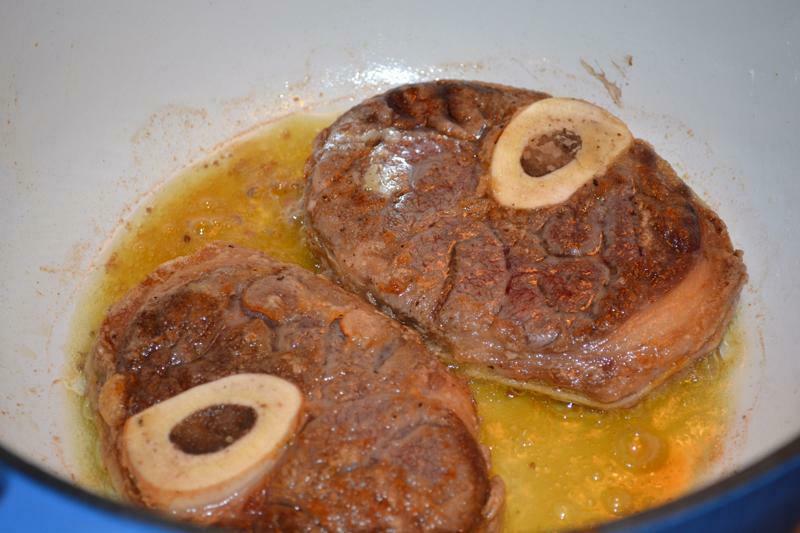 Place the shanks in the hot oil, and brown for four minutes on each side. Remove the shanks and keep warm on a platter. Add the onions, celery, carrot and garlic to the Dutch oven. Cook, stirring frequently, until the onion turns translucent and the celery gets soft. Turn the heat up, pour in the white wine, and bring the liquid to a simmer. Cook, still stirring frequently, until the volume of the liquid has reduced by half. Add the chicken stock, tomato paste and bay leaves. Stir well, and return to a simmer. Put the beef shanks back in the pot, with the open end of the bones facing up. If the liquid doesn't nearly cover the shanks, add a bit more chicken stock. 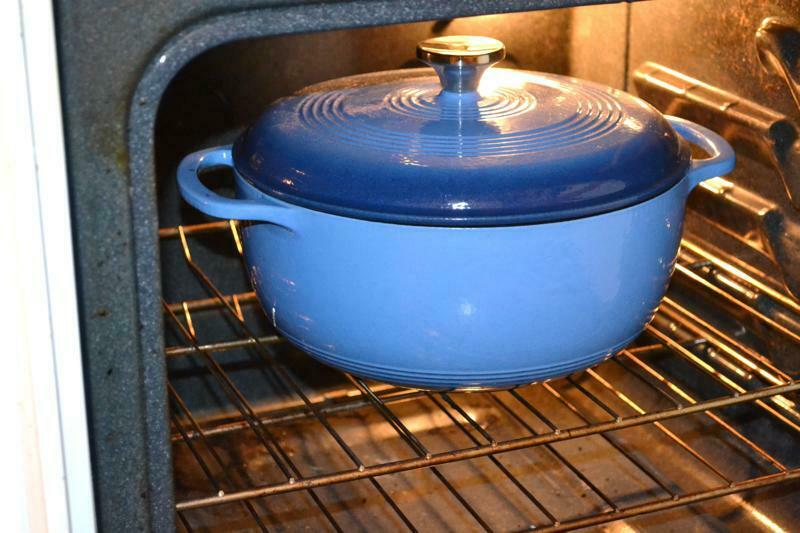 Put the lid on the Dutch oven, and carefully place it in the oven. Let cooked, covered, for two hours or until the meat is practically falling off the bone. Remove the shanks to a serving platter, and put the dutch oven back on the burner over medium high heat. Simmer the sauce until it becomes thick enough to coat the back of a spoon. Serve topped with gremolata, with risotto on the side. 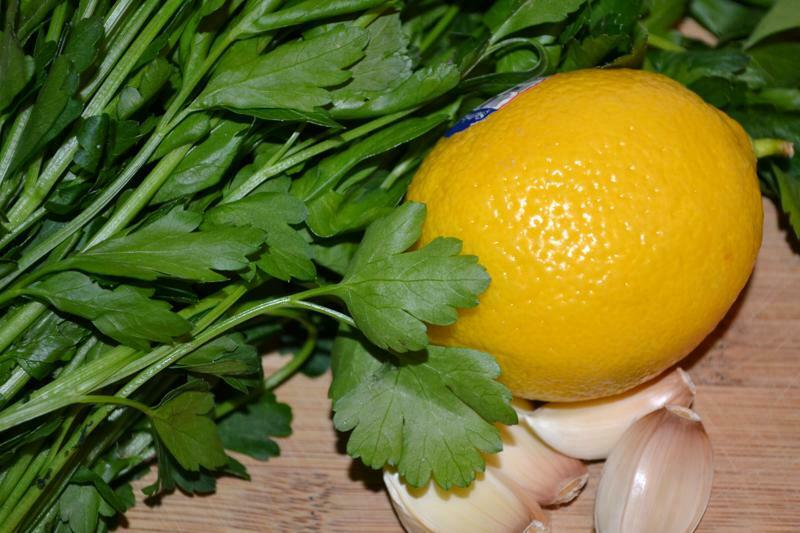 Combine lemon zest, garlic and parsley in a small bowl. Refrigerate for at least two hours to allow the flavors to mingle.